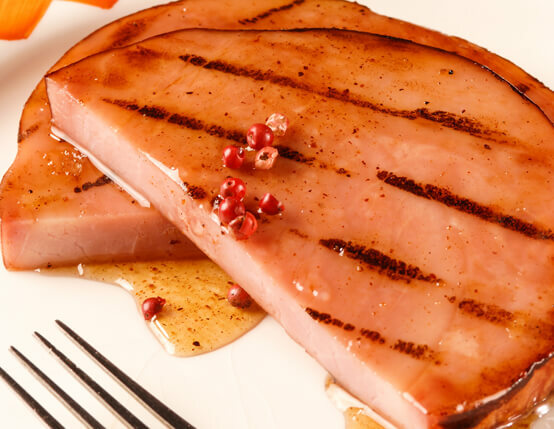 This ham recipe comes complete with Caribbean flair. Get the recipe. Melt jelly in microwave or on stovetop over low heat. Combine jelly, brown sugar, rum and allspice; mix well. Brush half of mixture over one side of ham steaks. Grill (jelly sides up) over medium coals or broil 4 to 5 inches from heat source 4 minutes. Turn; brush remaining jelly mixture over ham steaks. 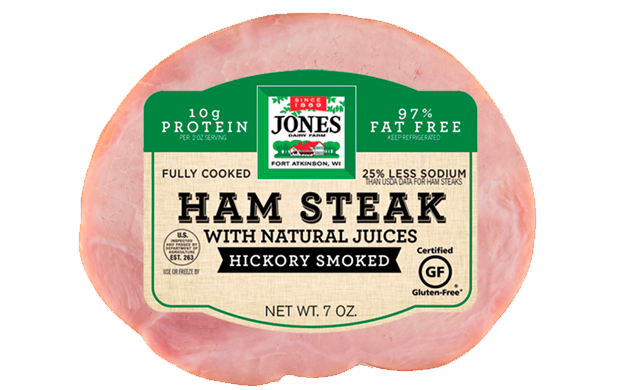 Continue grilling or broiling 4 minutes or until ham is hot.